Our solar lease and solar cash plans will let you buy and own your own solar system with a customized agreement based on your individual needs. You’ll also get a custom solar design that meets the unique needs of your home and lifestyle. BrightSave™ is solar made simple. Our worry-free solar lease comes with maintenance, service, repairs, monitoring, insurance, and peace of mind for 25 years—all included, no strings attached. With Sunrun's BrightSave Monthly, going solar is as easy as it gets. For as little as $0 down, you can get peace of mind with a solar lease that sets you up with a customized solar system. Low, predictable monthly payments are designed to protect you against utility rate increases for the next 25 years. We partner Sunrun's proprietary solar software design system with top local installers and have offices in Tampa to ensure that your solar installation is completed efficiently and of the absolute highest quality. Not only that, you’ll be completely covered with our worry-free, comprehensive warranty. If your solar system breaks? We fix it. And if you decide to move? We’ll help you transfer your lease to the new homeowner. Trust us, we’ve got you covered. Want the very best value on solar? Get all the perks of BrightSave Monthly, minus the monthly payments with BrightSave Prepaid. Because Sunrun owns your system, we take care of all the tax filing and paperwork. Even better, the upfront payment with BrightSave Prepaid can be less than owning your system outright. Cash in on generous tax credits when you purchase a solar system through Sunrun. We’ll tailor your solar system to meet the needs of your home and lifestyle, plus take care of any paperwork, permits, and handle all aspects of installation. With Sunrun’s BrightBuy, you purchase the entire solar system upfront, so you own your system and your savings. You simply pay a one time upfront cost to Sunrun for the hardware and installation, and then you have complete ownership of the system. 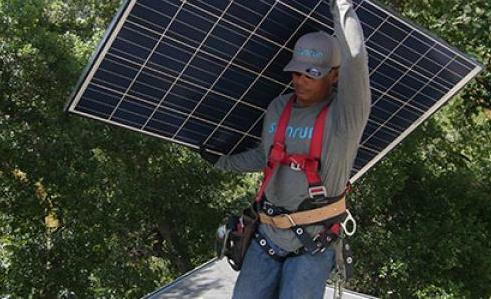 Sunrun offers best-in-class equipment and the highest quality workmanship, backed by 20 years of residential solar experience. Your purchase also includes an industry-leading roof penetration warranty to protect your roof. Own your system with Sunrun’s hassle-free financing with BrightAdvantage. This means fast approvals, low fixed interest rates, no upfront payment, and no penalties associated with traditional solar loans—all while taking advantage of available solar tax credits and rebates. Loan options facilitated by Sunrun are unsecured (does not require you to use your house as collateral), free of any penalties or hidden provisions, and provide multiple term options at very competitive borrowing costs, giving you the freedom to go solar on your terms. Enjoy safe, clean, and reliable backup power to keep your family powering forward in the event of a blackout. Brightbox is more than just a solar battery—it’s a smart solar energy storage service that’s managed by our team to maximize your savings and ensure your system is in top condition, 24/7. 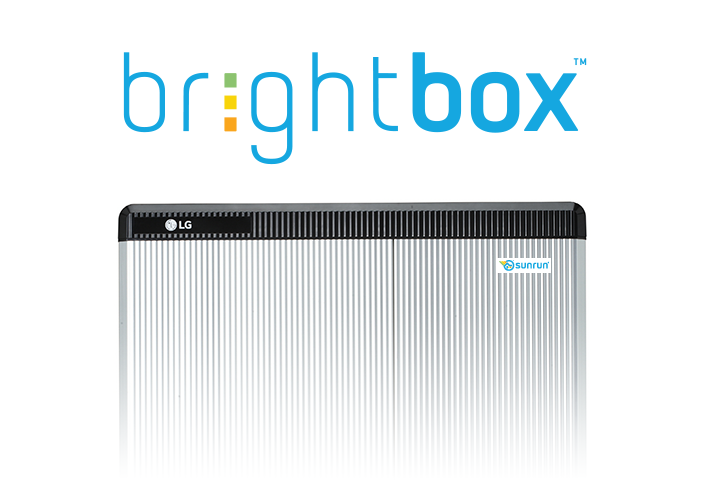 Brightbox is available with all of our solar financing options. 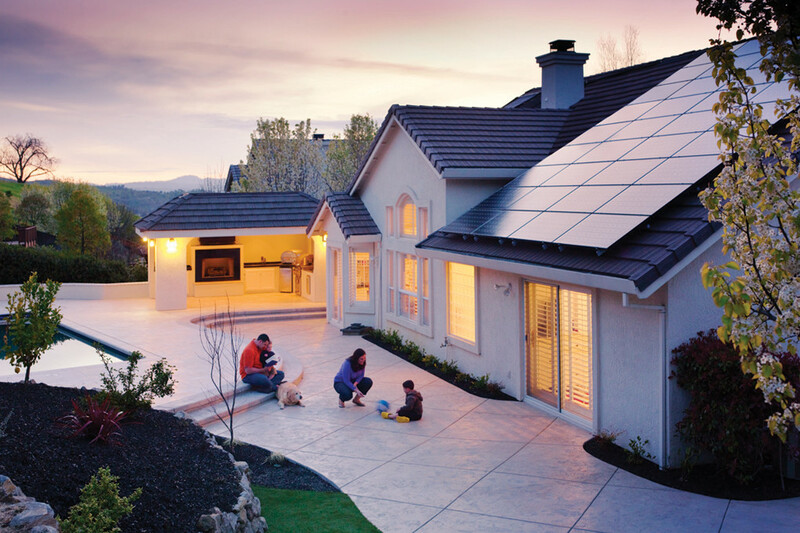 Find the right solar product for your home.